People around the globe know Bishop Robin Dinnanauth as a noted evangelist, Pastor and the author of best-selling books such as Ambush the Enemy, Call to Duty, Shattered Demonic Altars, Faith and Foundation and Spiritual Warfare in the Supernatural Realm. His TV program, Rise and Be Healed, is among the world’s most-watched Christian programs. There is much more to the story of the man and his ministry, which has impacted the world for more than 20 years with the life-saving miracle and Deliverance working message of the Gospel of Jesus Christ. Robin Dinnanauth was born on June 23, 1974, in Berbice, Guyana. At age 7, when his grandmother took him to church and an evangelist prayed with him for the miracle of Healing Bishop Dinnanauth’s life took on an entirely new meaning as he surrendered his heart and life to Jesus Christ. Some years afterward, Bishop Dinnanauth was called to minister the Gospel. In August 2004, Bishop Robin answered the call of God to fulltime ministry and started the Tabernacle of Emmanuel Full Gospel Assemblies Church in Queens, New York and Robin Healing Ministries. Bishop Robin also founded Emmanuel Full Gospel Assemblies Ministerial Fellowship (EFGAMF) which is a network of leaders, churches and ministries. EFGAMF began with a vision to provide a covering by spiritual fathers who mentor a new generation of mighty men and women of God. The mission of EFGAMF is to develop, equip and empower its leaders as they discover and walk out their ministry calling. 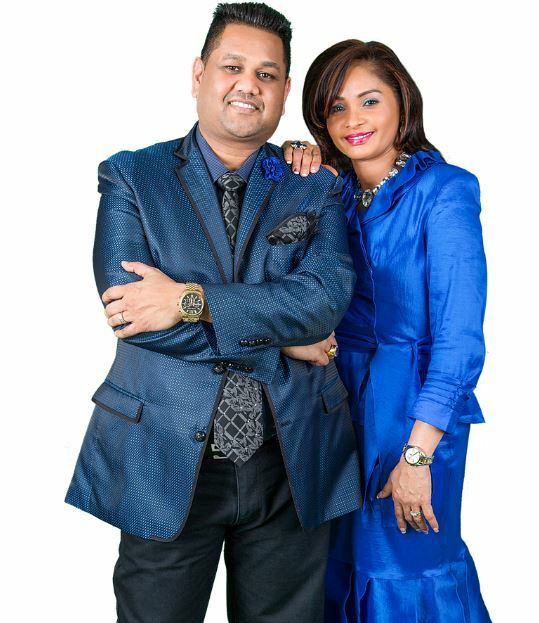 Now in his 20th year of worldwide ministry, Bishop Robin Dinnanauth has preached the Gospel face to face and through television to thousands of people. Through Miracle Crusades, conferences, television and radio broadcasts, the Internet, printed page and audio-video recordings, this evangelist’s straightforward, uncompromising message of God’s love has inspired thousands to a personal relationship with our Lord Jesus Christ. Bishop Robin’s ministry is also engaged in work with Josiah’s House of Hope in West Africa, as well as with feeding programs and crisis relief. For years, his ministry has provided food, clothing, shelter, education and religious training for thousands around the globe (including partnerships with numerous missionary and relief agencies).